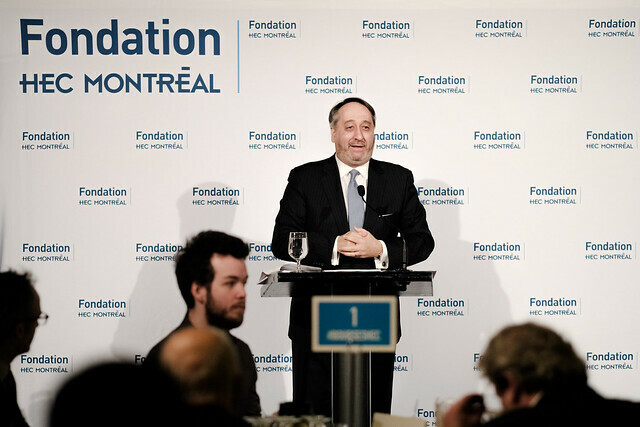 The HEC Montréal Foundation has awarded $763,526 in scholarships to 254 outstanding students in recognition of their academic records, perseverance, involvement, leadership or entrepreneurship. The scholarships were awarded at two ceremonies, held on December 7 and 14. Many donors were on hand to present the scholarships they had funded. See all the photos on the HEC Montréal Foundation website. The next HEC Montréal Foundation competition for academic, leadership and entrepreneurship scholarships and bursaries will be held from January 19 to February 2. Congratulations to all the scholarship recipients and thanks to our generous donors.